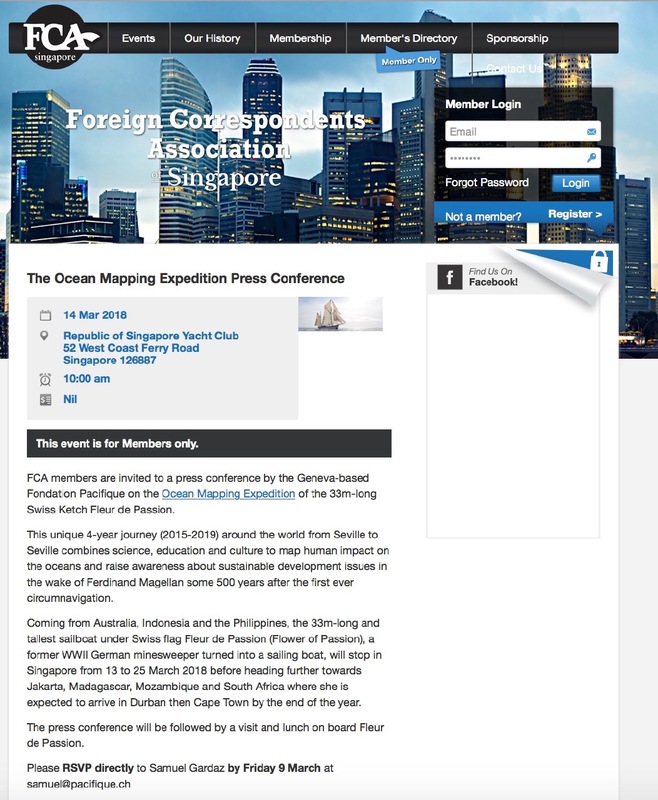 Farewell to Fleur de Passion, that’s the day! 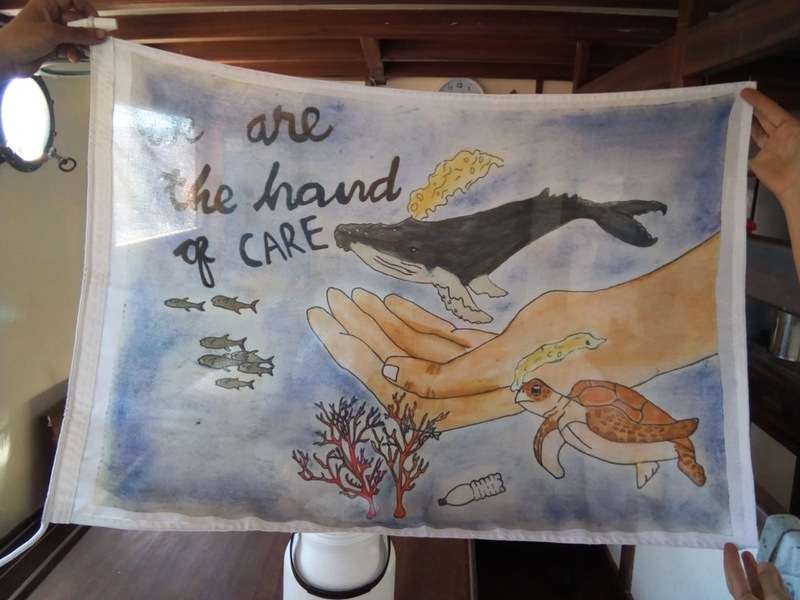 For those of you Capetownians who would like to and could make it, today Wednesday 27 February 2019 is the day to say goodbye to the crew of Fleur de Passion and to The Ocean Mapping Expedition. 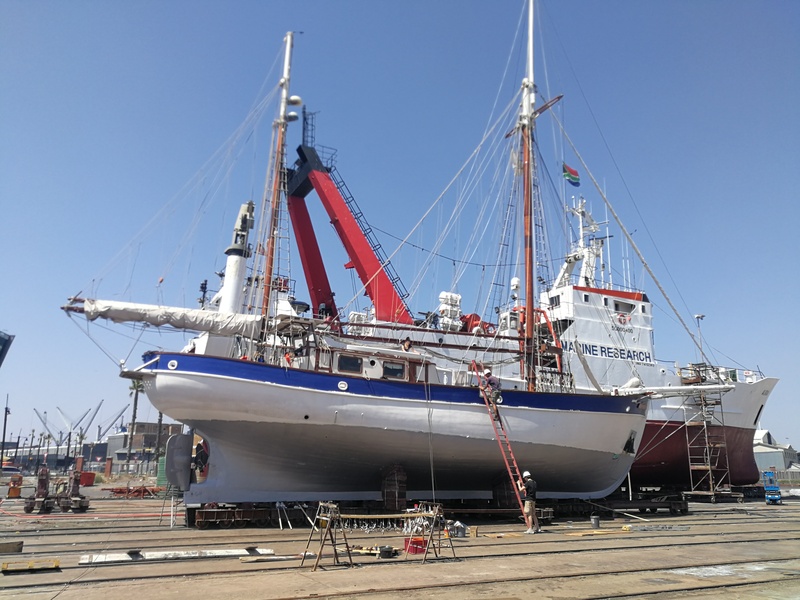 A farewell ceremony will take place at 4pm at V&A Waterfront Quay 6 right where the boat was docked in January before she went for maintenance in dry docks nearby (pictures). 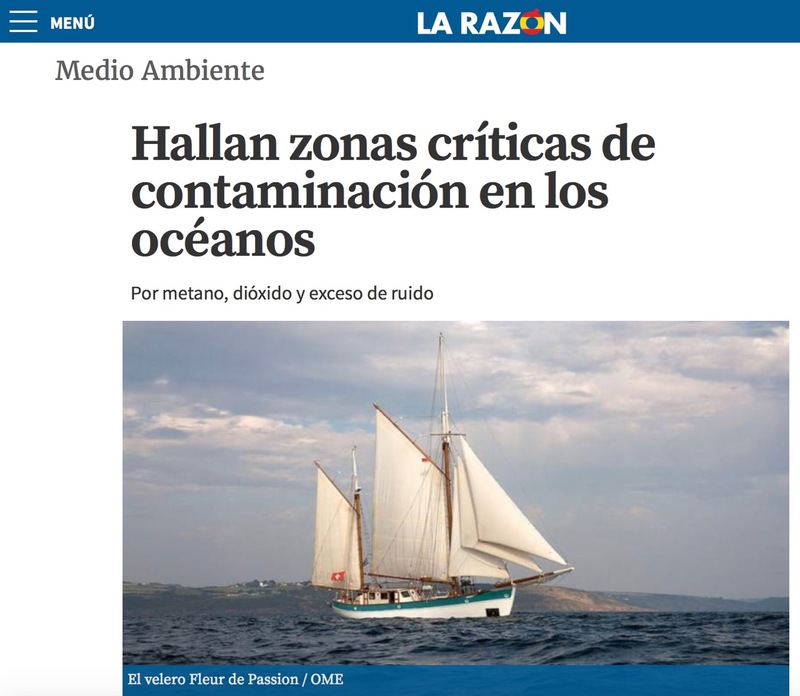 Captain Pere Valera will raise the « Flag for the Oceans » with 12-year old Ana who won the 1st prize of the drawing contest organized during the stopover and as part of the various outreach activities intended to share the spirit of the expedition. 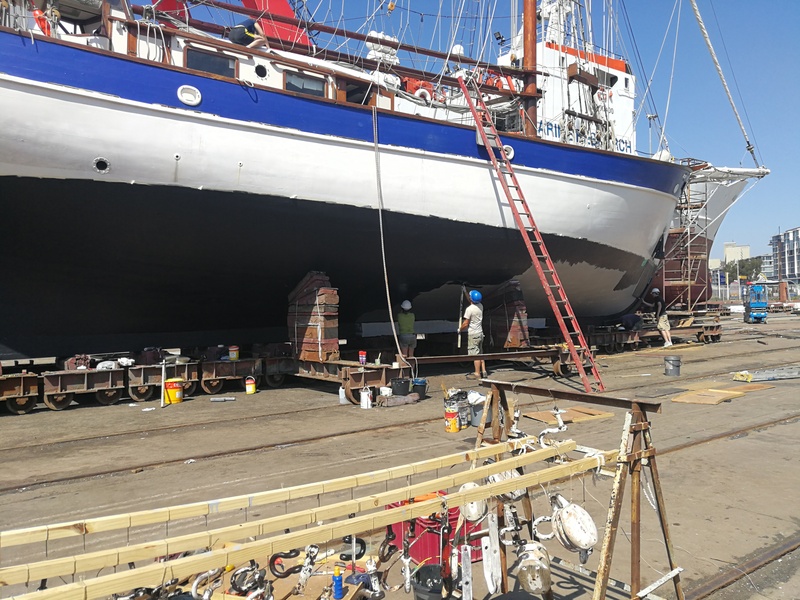 If everything goes well, Fleur de Passion should then set sail on Thursday 28 February early morning towards Dakar and ultimately Seville. 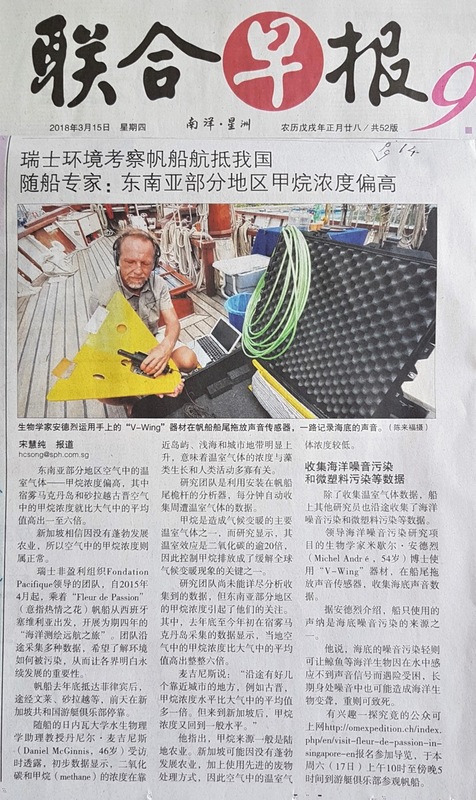 So forgive the crew if they are still finalizing some preparation work while you’re there. 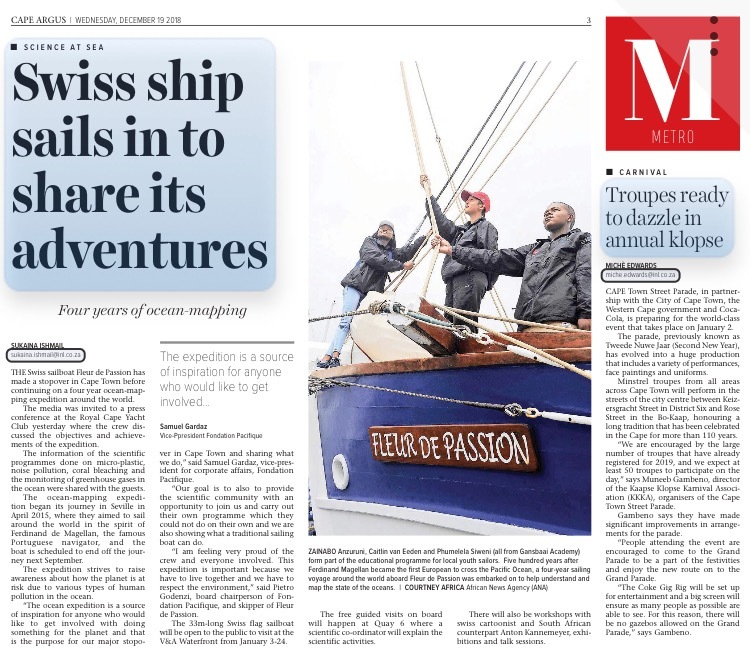 The expression could not have been more appropriate: the arrival of Swiss sailboat Fleur de Passion in Cape Town earned the from page of the Cape Times daily newspaper on December 19, the day after the press conference organized at the Royal Cape Yacht Club to mark the stopover of the expedition. 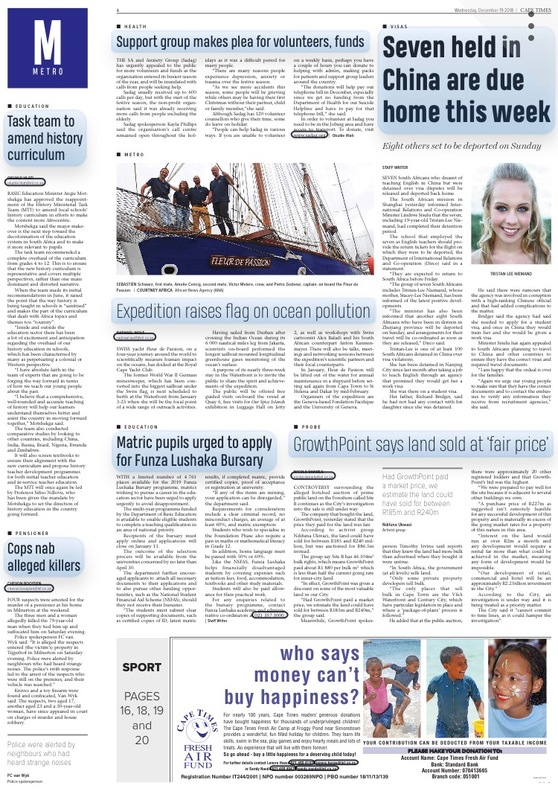 Beyond this spectacular and so rewarding headlines, many other print, radio and TV media like SABC News that have covered the event in its many facets. 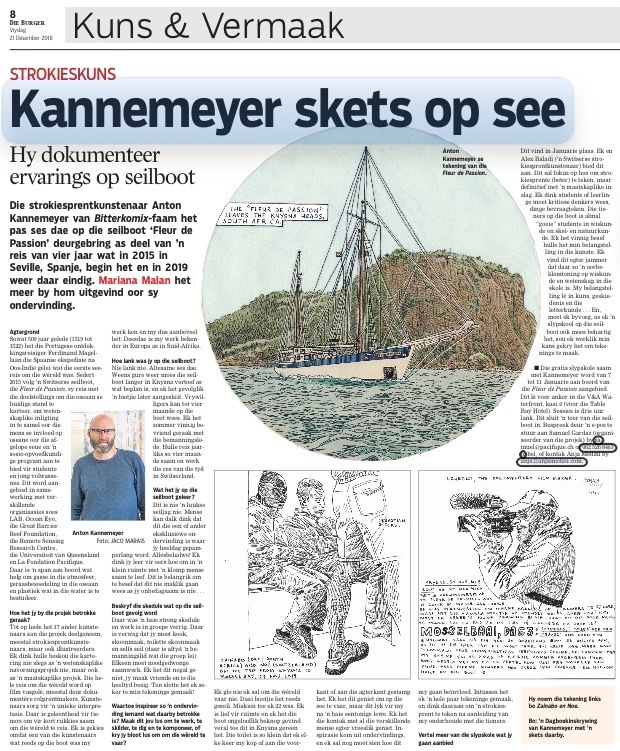 The South African media in particular focused on aspects of the country-related expedition: the boarding of four students for a week earlier in Mossel Bay as part of a project organized by CapeNature governmental organization with the support of the Swiss embassy; or the « residence on bord » of cartoonist Anton Kannenmeyer, some of whose drawings illustrated the interview he gave in the December 21 edition of Die Burger, the newspaper in Afrikaans. 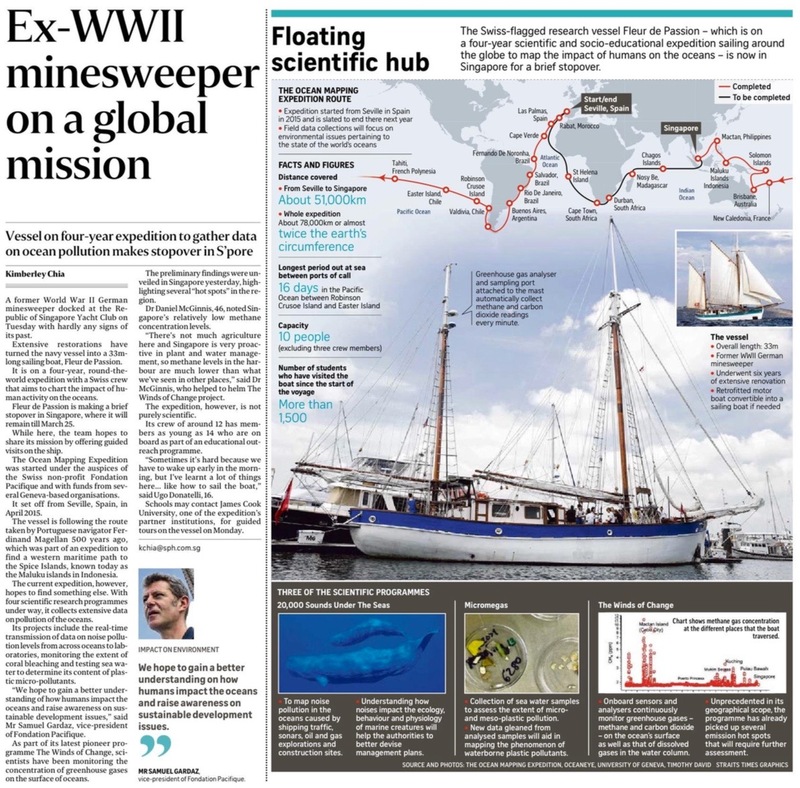 As for the foreign press, the Cape Town correspondent of the Frankfurter Allgemeine Zeitung was unsurprisingly interested in the German ship's past. 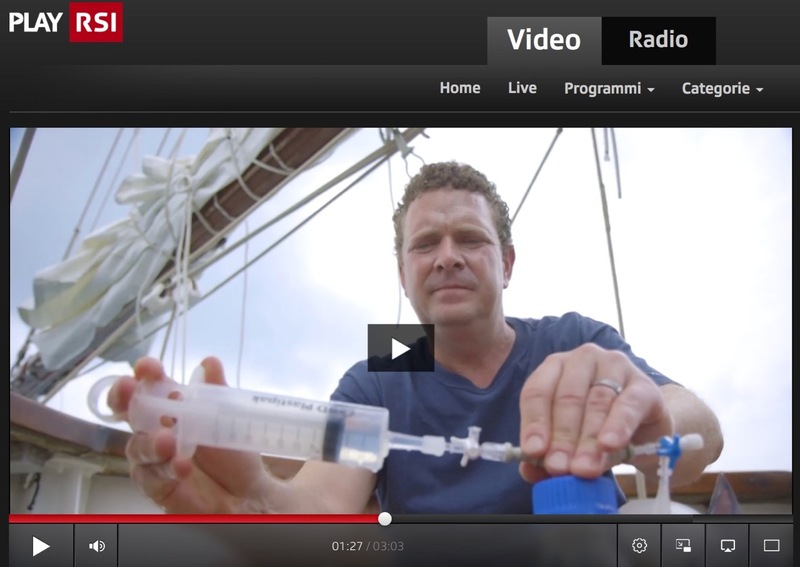 Would you be too? 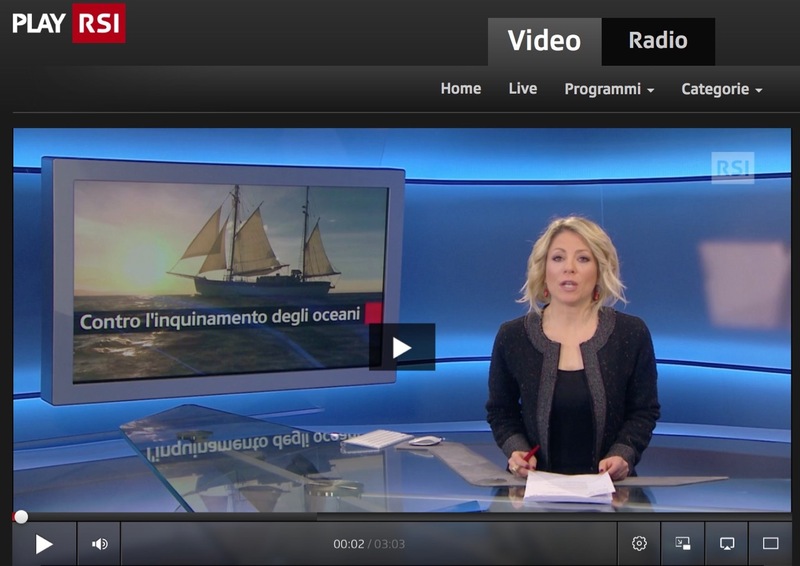 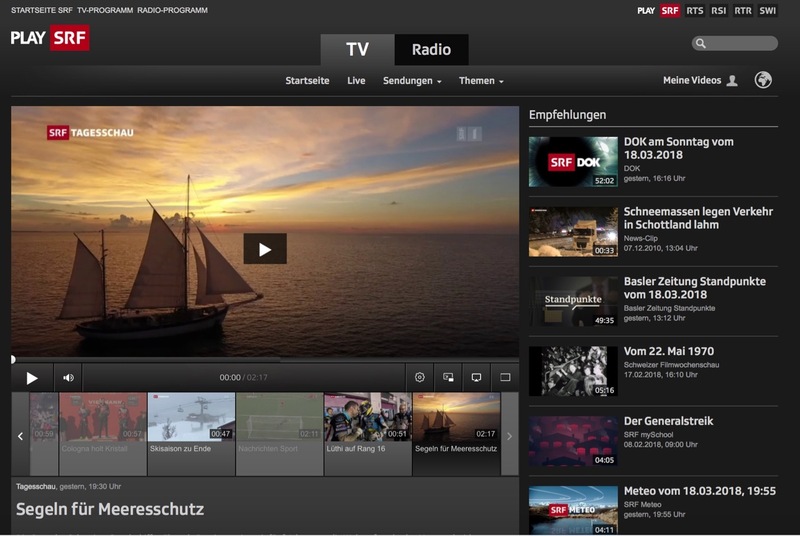 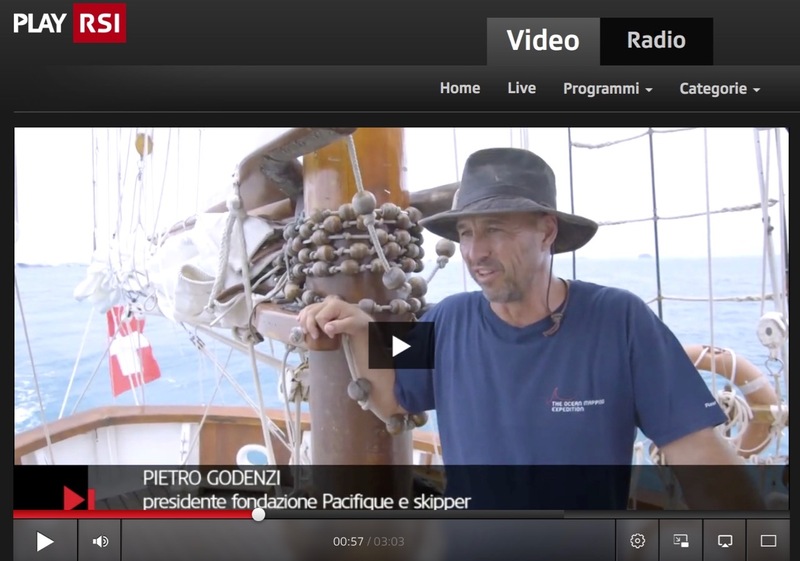 Then have a look here at the 8’ video telling the quite stunning history of 33m-long and now biggest sailboat under Swiss flag. 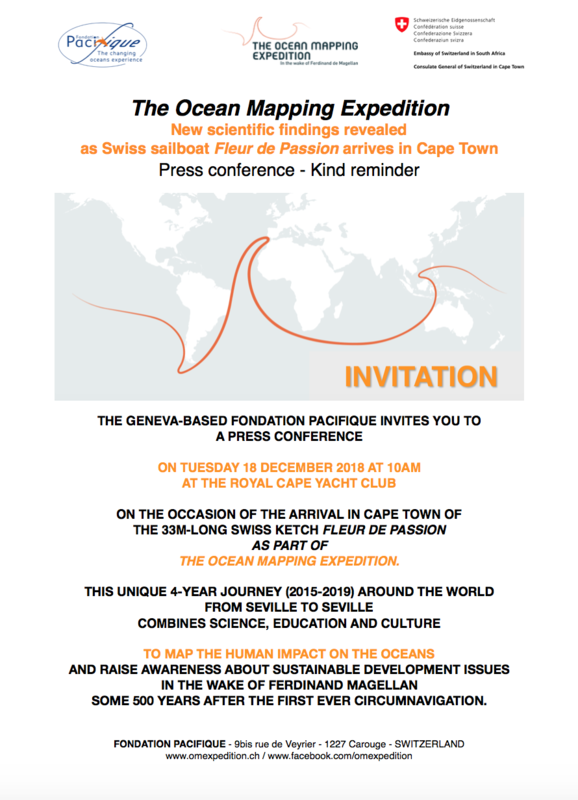 The Geneva-based non-for-profit Fondation Pacifique invites the media to the press conference organized at Royal Cape Yacht Club, Cape Town, South Africa, on Tuesday 18 December at 10am on the occasion of the arrival of Swiss sailboat Fleur de Passion as part of The Ocean Mapping Expedition. 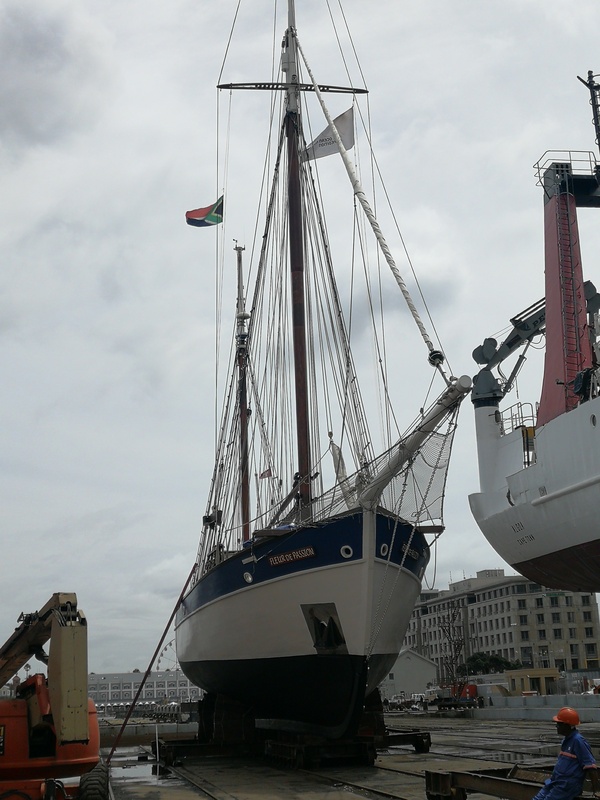 Arriving from Durban and before heading back to Seville, Spain, therefore completing a 4 and a half year journey around the world in the wake of Portuguese navigator Magellan, the 33m-long and biggest sailboat under Swiss flag Fleur de Passion will stop in Cape Town from December 15th 2018 to February 15th 2019, first at Royal Cape Yacht Club then at V&A Waterfront. 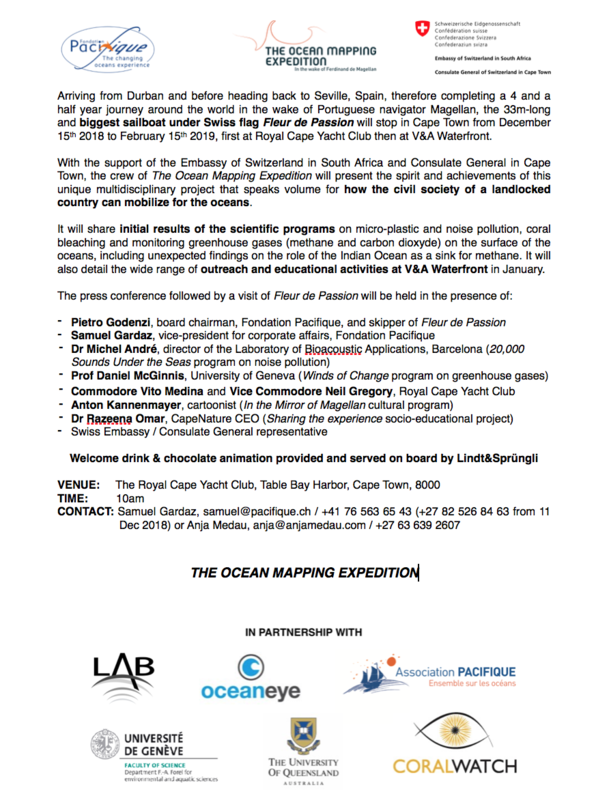 With the support of the Embassy of Switzerland in South Africa and Consulate General in Cape Town, the crew of The Ocean Mapping Expedition will present the spirit and achievements of this unique multidisciplinary project that speaks volume for how the civil society of a landlocked country can mobilize for the oceans. 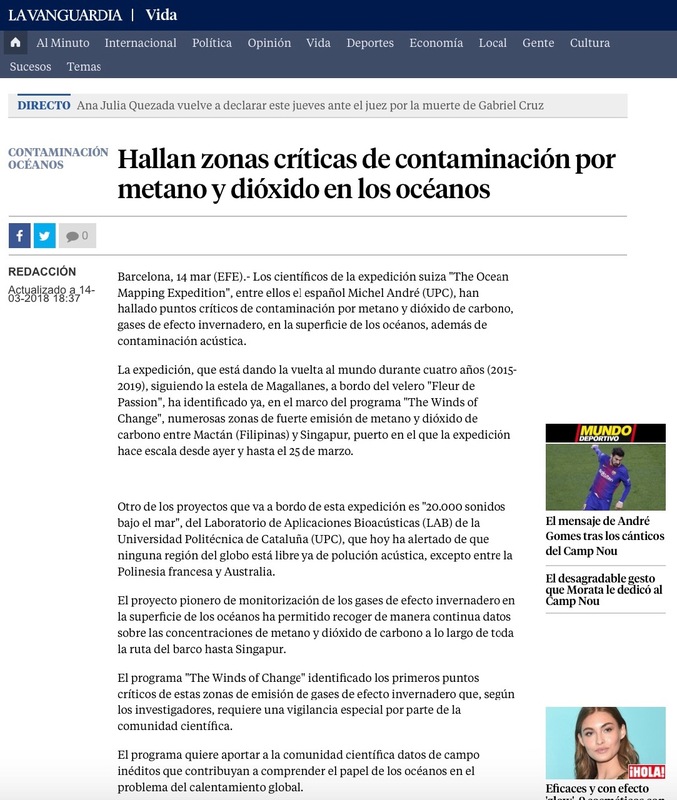 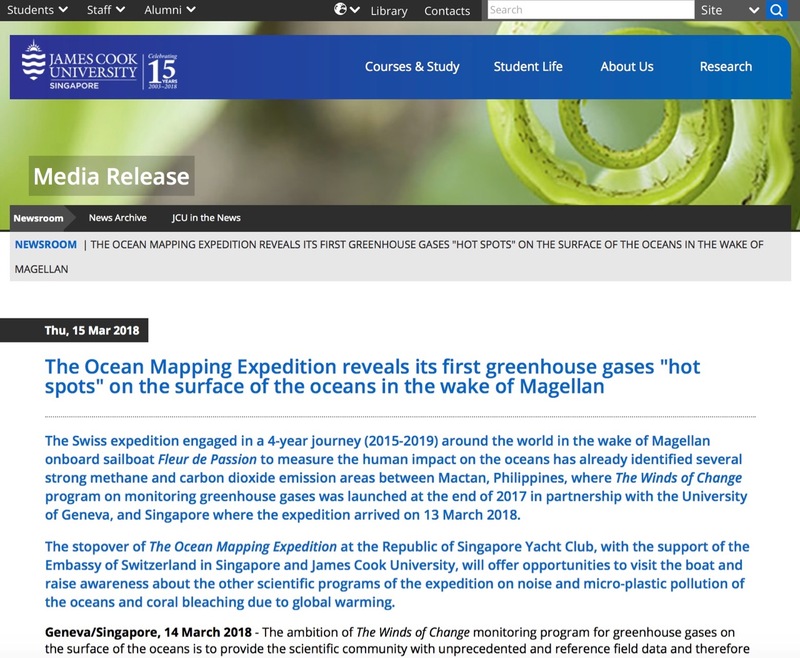 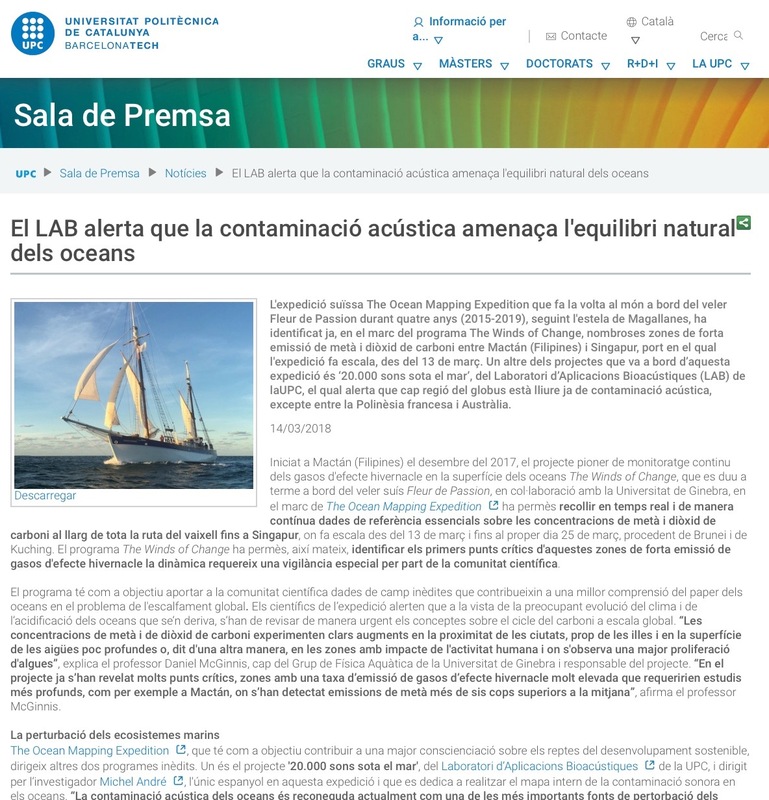 It will share initial results of the scientific programs on micro-plastic and noise pollution, coral bleaching and monitoring greenhouse gases (methane and carbon dioxyde) on the surface of the oceans, including unexpected findings on the role of the Indian Ocean as a sink for methane. 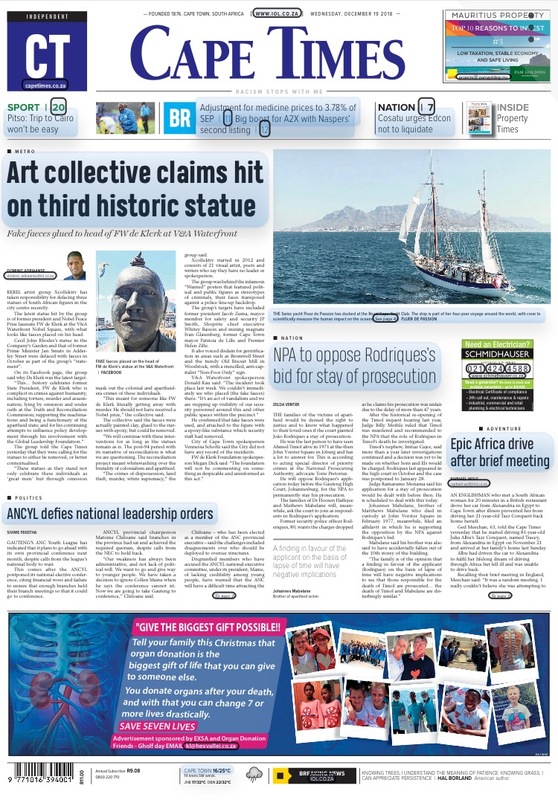 It will also detail the wide range of outreach and educational activities at V&A Waterfront in January.